Tepid interest from moviegoers has led Universal to pull the Danny Boyle-helmed film chronicling the life of Apple's late cofounder from more than 2,000 theaters, leaving the picture on only a few hundred domestic screens. The total number of outlets screening the film in the U.S. dropped to just 421 over the weekend, according to numbers compiled by Box Office Mojo. That represents a decline of 2,072 theaters from its previous wide distribution. 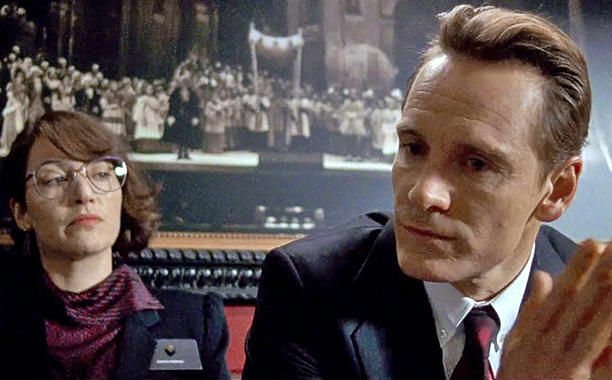 The movie, featuring Michael Fassbender in the titular role, has grossed just over $16 million to date. It cost more than $30 million to make, with advertising and promotion likely adding millions on top of that figure. The relative flop comes despite generally positive critical reviews. Oscar nods were tipped for stars Fassbender and Kate Winslet following the movie's debut, but those conversations have since died down. AppleInsider's own review found the movie to be a "humanizing, honest and emotional portrayal" of Jobs, if not entirely historically accurate.